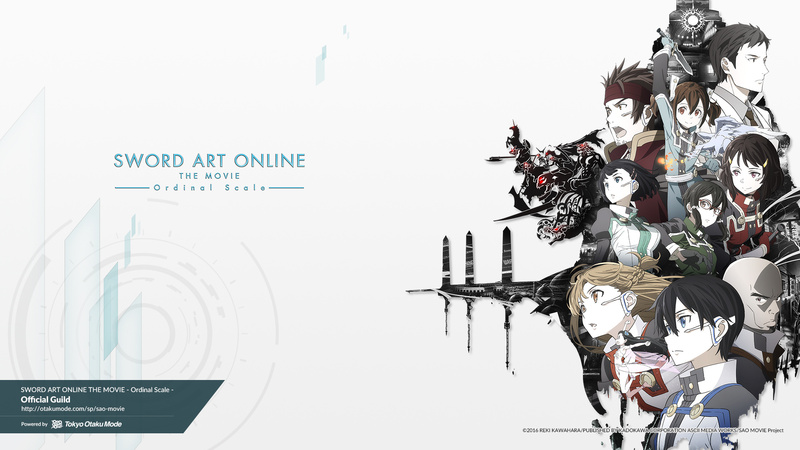 Tokyo Otaku Mode Opens Collaborative Global Portal Site for “Sword Art Online the Movie: Ordinal Scale” Releasing Next Spring! 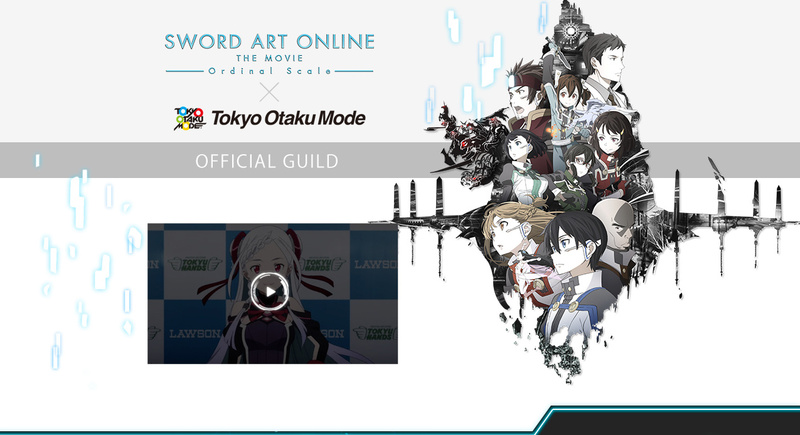 TOKYO - A global portal site opened on Nov. 9 for “Sword Art Online the Movie: Ordinal Scale” (otakumode.com/sp/sao-movie), which will be released in 1,000 cinemas worldwide after its theatrical release in Japan on Feb. 18, 2017. Tokyo Otaku Mode (herein referred to as TOM) is offering its full support in managing the newly opened “Sword Art Online the Movie: Ordinal Scale” global portal site, which offers fans a variety of ways to enjoy the world of “Sword Art Online” including updates on the latest information, exclusive specials for overseas fans, the ability to interact with fellow fans, and more. In celebration of the portal site’s launch, a Twitter campaign will also be held in which fans can get a wallpaper (for PC and smartphones) of the second “Sword Art Online the Movie: Ordinal Scale” key visual. “Sword Art Online” is a popular series with a worldwide fan base. The release of “Sword Art Online the Movie: Ordinal Scale” is slated for next spring in Japan, and it’s been decided that the film will also be released thereafter in 1,000 cinemas worldwide, so fans everywhere are anxiously awaiting it. A plethora of original content has been prepared for the newly opened global portal site including not just the latest news in English, but also original event coverage, digital content not available anywhere else, exclusive campaigns for overseas fans, and more. TOM is also planning additional content to be released using its worldwide Japanese pop culture fan community including the ability to interact with fellow “Sword Art Online” fans, a gallery of “Sword Art Online”-themed artwork by TOM Creators, and more. Additionally, original products are in development and will be announced on the site in the weeks to come. In addition to its worldwide e-commerce service and news media, TOM has supported Japanese businesses in expanding overseas through holding overseas promotions and supporting overseas crowdfunding projects. From hereon, TOM will also support the overseas spread of anime and manga through managing global portal sites. All the latest “Sword Art Online” information in English. Also includes content that can’t be read anywhere else including original event reports. Here, fans can enjoy illustrations, cosplay, and other works of art themed after “Sword Art Online” by TOM Creators. Popular “Sword Art Online” products available for purchase. A variety of campaigns are in the works, including a Twitter campaign to get a wallpaper (for PC and smartphones) of the “Sword Art Online the Movie: Ordinal Scale” key visual. The “Sword Art Online” anime series is based on an original novel by author and 15th Dengeki Novel Prize Grand Prize winner Reki Kawahara set in a fictional next gen video game called “Sword Art Online” that follows the story of main character Kirito. The series has boasted high popularity since the release of its first volume in April 2009, with more than 12.5 million copies sold in Japan (19 million worldwide). The series has expanded into a mix of different media as well, including two TV anime adaptations, video games, comics, and more. A film based on the original novels published by Kadokawa under the Dengeki Bunko imprint, “Sword Art Online the Movie: Ordinal Scale” will be released in 1,000 cinemas worldwide after its theatrical release in Japan on Feb. 18, 2017. The film features an original story written by author Reki Kawahara with music by Yuki Kajiura. Facebook is a trademark or registered trademark of Facebook, Inc. All other brand names, product names, or trademarks mentioned herein are registered trademarks of their respective companies and belong to their respective holders. Company Name: Tokyo Otaku Mode Inc.